On Thursday, April 12, America’s bishops issued one of their most important statements in years. Our First, Most Cherished Liberty is not just a compelling defense of religious freedom. It’s also a call to action no committed Catholic can afford to ignore. In the vision of America’s Founders, God exists, and his sovereignty matters. God endows each person with freedom and rights so that we can fulfill our duties toward him and each other. Our rights come from God, not from the state. Government is justified only insofar as it secures, promotes and defends those natural rights. This is why religious liberty is our most important freedom. Our first governor is God, our Creator, the Governor of the universe. We’re created for a higher purpose. We have a religious destiny. Our right to pursue this destiny precedes the state. Any attempt to suppress our right to worship, preach, teach, practice, organize and peacefully engage society because of our belief in God is an attack not only on the cornerstone of human dignity, but also on the nature of the American experiment. To put it another way, in the American model, religion is more than a private affair between the individual believer and God. Religion is essential to the virtues needed for a free people. Moreover, when the Founders talked about religion, they meant something much more demanding and vigorous than a vague “spirituality.” One of the great legal scholars of the last century, Harold Berman, showed that the Founders understood religion in a frankly Christian-informed sense. For the Founders, religion meant “both belief in God and belief in an after-life of reward for virtue, and punishment for sin.” In other words, religion mattered – personally and socially. It was more than a private preference. It made people live differently. People’s faith was assumed to have broad implications, including the political kind. As a result, from the start, believers – alone and in communities – have shaped American history simply by trying to live their faith in the world. The American experience of personal freedom and civil peace would be inconceivable without a religious grounding and a predominantly Christian inspiration. The reason is simple. What we believe about God shapes what we believe about man. And what we believe about man shapes what we believe about the purpose and proper structure of human society. So it should surprise no one that at the heart of American life is a Christian-informed definition of what it means to be human. That richly developed idea of what it means to be “human,” and even the nature of religious freedom itself, now face heavy attacks in our courts, our mass media and our legislatures. As Our First, Most Cherished Liberty shows, the current HHS healthcare mandate fight – which threatens the mission of many Catholic employers and organizations by forcing them to violate the teachings of their Church – is not an isolated assault. It’s part of a growing pattern. The bishops list at least six other high-profile, recent cases where government has aggressively interfered with the rights of religious communities and believers. And these violations are happening right here, in our own country, right now. I encourage Catholics throughout the Archdiocese to download the bishops’ statement from the link provided below. It’s an outstanding and urgently needed resource. Read it. Pray over it. Then share it with others. Most importantly, the statement calls for a “Fortnight for Freedom” in dioceses across the United States from June 21 through July 4. In the days and weeks ahead, please check our archdiocesan website for our local efforts to observe this important event. Philadelphia is the birthplace of American independence. It’s the cradle of our rights as a free people. There’s no better place to begin the renewal of our nation’s first and most important freedom: religious liberty. All of the founders are with you! Keep it up! Benjamin Franklin makes a motion for prayer. Benjamin Franklin July 28, 1787 is noted as one of the least religious founders. The Constitutional Convention had been meeting for five weeks, and had hit a perilous deadlock. The large states were insisting that congressional representation be based on population; the smaller states wanted a one-state-one-vote rule. The entire effort to create a stronger union was in jeopardy. Eighty-one-year-old Benjamin Franklin, quiet during most of the deliberations, then addressed the group. According to James Madison’s notes, here is what happened next. “The small progress we have made after four or five weeks’ close attendance and continual reasonings with each other–our different sentiments on almost every question, several of the last producing as many noes as ayes–is, methinks, a melancholy proof of the imperfection of the human understanding. We indeed seem to feel our own want of political wisdom, since we have been running about in search of it. We have gone back to ancient history for models of government, and examined the different forms of those republics which, having been formed with the seeds of their own dissolution, now no longer exist. And we have viewed modern states all round Europe, but find none of their constitutions suitable to our circumstances. “In this situation of this assembly, groping, as it were, in the dark, to find political truth, and scarce able to distinguish it when presented to us, how has it happened, sir, that we have not hitherto once thought of humbly applying to the Father of lights to illuminate our understandings. In the beginning of the contest with Great Britain, when we were sensible of dangers, we had daily prayer in this room for the divine protection. Our prayers, sir, were heard, and they were graciously answered. All of us who were engaged in the struggle must have observed frequent instances of a superintending Providence in our favor. To that kind Providence we owe this happy opportunity of consulting in peace on the means of establishing our future national felicity. And have we now forgotten that powerful Friend? Or do we imagine that we no longer need his assistance? “I firmly believe this; and I also believe that without His concurring aid we shall succeed, in this political building, no better than the builders of Babel. We shall be divided by our little partial local interests; our projects will be confounded; and we ourselves shall become a reproach and by-word down to future ages. And, what is worse, mankind may hereafter, from this unfortunate instance, despair of establishing governments by human wisdom, and leave it to chance, war, and conquest. “Mr. President, I second the motion,” said Roger Sherman of Connecticut. 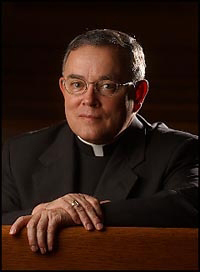 Thank You Archbishop Chaput for you incredible, thoughtful and historical writings. Totally agree. Lead on Bishops and we will follow. Philadelphia is the birthplace of American independence. Given the current proceedings in front of Judge Sarmina, I think many Philadelphia area Catholics would wish for the “freedom” of our children from sexual abuse within the confines of the Archdiocese of Philadelphia. That’s a “religious freedom” that this city has been struggling with for several years now. Thank you for standing up for religious freedom in AMerica and doing your best to protect the dignity and integrity of our religiously affiliated organizations under threat of the terrible injustice by our government. I must say, I’m new at this and learning, but I look forward and wait for the bishops to speak out on what has brought this mandate to us in the first place: contraception and its corresponding and resultant evils. Archbishop, please enlighten us as to why, exactly why, contraception is considered an intrinsic evil and the use of it is a grave sin. Please instruct us as to why this mandate is suffocating and founded on a basis of evil. We have Humanae Vitae, Casti Canubii, the Theology of the Body and a host of other work defining and explaining exactly why we must put an end to this pernicious evil that is destroying our families, children, marriages and nation as a whole. Isn’t it time for the bishops to speak out again in one voice? All have condemned the HHS mandate, but where is the cry? Where is the call? Where is the bold proclamation with vigor that contraception is an intrinsic evil and must be exposed for the lie and utter demonic deception that it is? How much time do we have Archbishop Chaput before our course runs out? I speak of the course the Church has chosen to lead with her silence on this issue? Abortion, promiscuity, rampant homosexuality, illegitimacy, divorce, adultrey, STD’s. It all comes down to one thing. 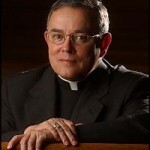 The wide spread use of contraceptives and the Church’s silence, in my opinion, Archbishop Chaput. WHen will we stand? When will the bishops condemn contraception? When will we say this is more than just religious liberty and an unconstitutional act as unjust as it is? WHen will we stand? when will be able to hear the truth proclaimed boldly from all of our bishops, if not when will we hear from those who will choose to act upon the grace of God and speak. This is our moment to fight back and defend the truth, defend the poor, the weak, and the suffering. This is the time to promote and defend the sanctity of of life and the blessed sanctity of marriage and married life. Isn’t this the time to call out the great deception that it is: that contraception is good for women, society, marriages and the family. WHen, Archbishop, when will he hear the truth loudly proclaimed and when will hear of the condemnation of contraception. When will we have life?